YES- I understand tickets are Pick Up ONLY in the Rivermen Office BEFORE 2pm on the day of the Game or at the Toyota Box Office AFTER 2 pm on the day of the game. A portion of every ticket will go back to the group! Tickets will be seated together! 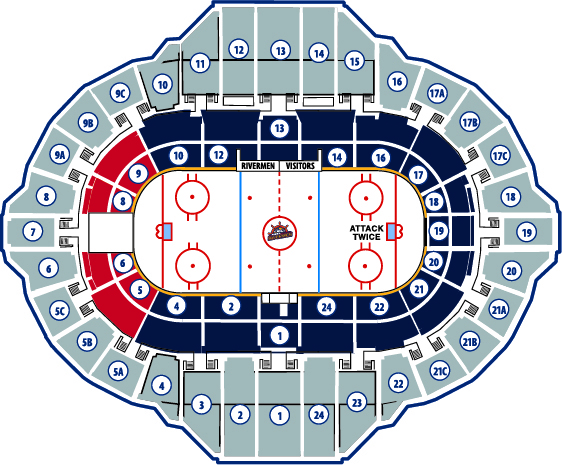 ALL SEATS WILL BE FILLED IN PREMIUM SECTIONS ROW C AND ABOVE! 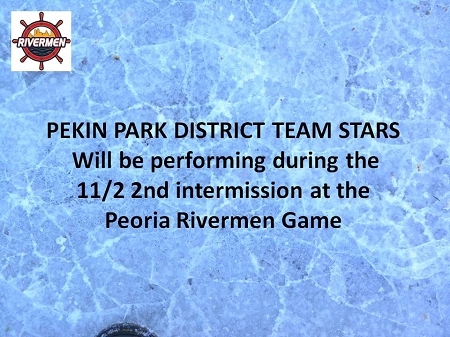 *IF A SPECIFIC SECTION IS PREFERRED , PLEASE LIST THAT REQUEST IN THE COMMENT SECTION ON THE NEXT PAGE OR CALL THE RIVERMEN OFFICE AT (309)676-1040. *IN ORDER TO PURCHASE THIS DISCOUNTED TICKET SPECIAL, YOU MUST PURCHASE THROUGH THIS LINK OR CALL THE RIVERMEN OFFICE PRIOR TO 2PM ON GAME DAY. TICKETS THROUGH THIS SPECIAL ARE NOT AVAILABLE FOR PURCHASE AT THE CIVIC CENTER BOX OFFICE. TICKETS CAN PICKED UP IN THE RIVERMEN ADMINISTRATIVE OFFICE (201 SW JEFFERSON) ONE (1) DAY AFTER ORDER IS PLACED OR BY 2PM ON GAME DAY. TICKETS NOT PICKED UP BY 2PM ON THE DAY OF THE GAME WILL THEN BE AVAILABLE AT THE TOYOTA BOX OFFICE/ WILL CALL, PHOTO ID REQUIRE FOR PICK UP. Deadline to purchase this special is five hours before puck drop on game day. Orders will be assigned in the best available seats on a first come, first serve basis. For more seating area requests, simply mention in the COMMENTS PORTION of your order. Order that require ADA seating please call 309-676-1040. Tickets for this promotion are NOT available for purchase at the Toyota Box Office. 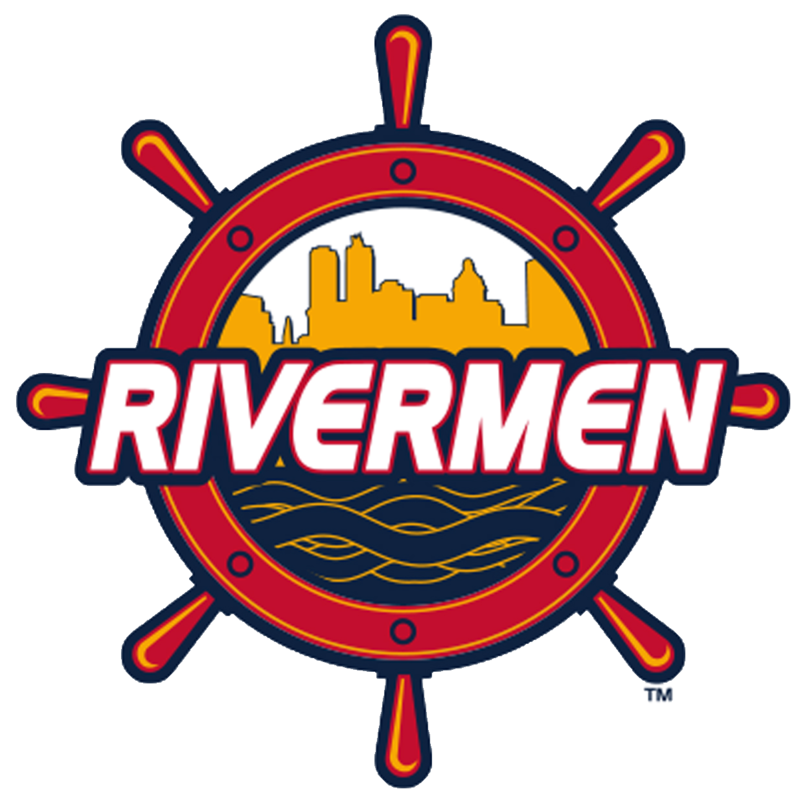 Peoria Rivermen Front Office is opened 9 am - 5pm ) Monday- Friday (10am- 5pm on Saturday/ 10 am- 1pm Sunday on Game Days). Offer not valid in conjunction with any other offer. Tickets are subject to availability. Tickets cannot be exchanged or refunded. Copyright Peoria Rivermen Team Store. All Rights Reserved. Web Store powered by 3DCart.